To provide timely, innovative, and cost-effective services and to be respected as a Firm with high technical, ethical, and moral standards. We make our living by servicing our clients; we build our lives by servicing others. What makes 415 Group special? 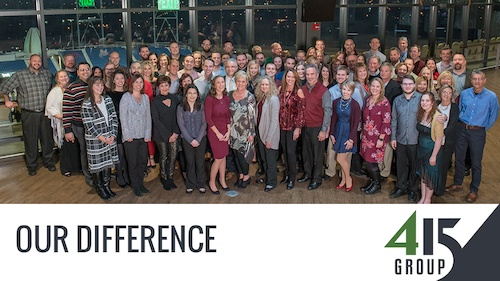 As most firms we have our mission statement, but we also have an associate statement which states “We make our living by servicing our clients; we build our lives by servicing others.” Currently our associates donate over 3,000 hours a year to over 30 different organizations in communities where our clients operate and where our associates live. Our firm’s most focused cause is providing financial assistance to the Akron-Canton Regional Food Bank. For the past four years, we have provided a financial match in Stark County during the Long Haul Against Hunger. During this fundraiser, we partner with local radio stations and our staff members assist with collecting donations in addition to our financial contribution. The firm has provided more than 256,000 meals during the past four years. In 2014, the firm was recognized by Community Harvest of Stark County as Employer of the Year. Community Harvest rescues excess food from restaurants and delivers it to food pantries and community groups. Last year, they provided one million meals for the residents of Stark County. 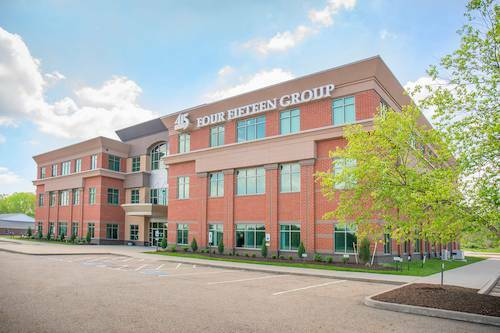 The passion and caring of all the associates, which we show not only to our clients and each other but to our communities, is what makes the 415 Group so special. I am proud to be part of such a caring organization."